Would the situation have changed in the national team of Milan, if Rossoneri had hired Giampiero Ventura as their team coach in 2015 ? Of course, we’ll never get the answer, but it’s quite interesting to look back at the recent events in football. Ventura was the main goal of Adriano Galliani in 2015. The coach who brought Torino to the Europa League, was at the top of Galliani’s list of candidates. Ventura was a strong contender for Filippo Inzaghi’s place. But the previous owner of Milan, Silvio Berlusconi, didn’t approve of this idea , he insisted on replacing Philippo with the well-known player Sinisha Mikhailovich. In 2016, the scenario was repeated once again, when Galliani did not give up the idea of ​​inviting Ventura, but this time the name of Giampiero was no longer in the first place, he was considered as an alternative to Maurizio Sarri. But neither one nor the other was taken to Milan, which seriously aimed at Vincenzo Montell, while Ventura was invited by the head of the Italian Football Federation Carlo Tavechkio for coaching instead of Skuadra Azzurra, replacing the previous allenatore – Conte. However, it’s too late to use the subjunctive mood here. 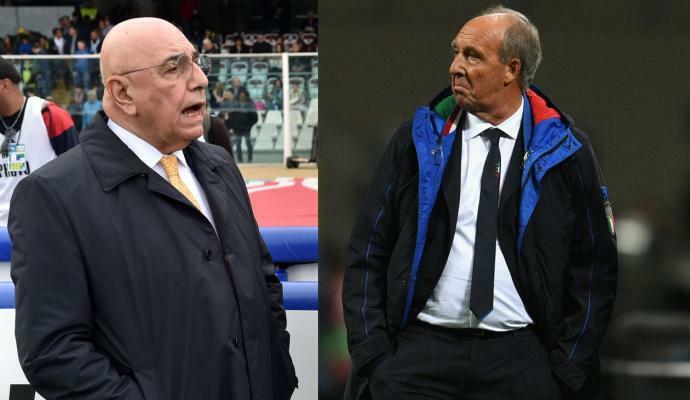 But the curious side of the issue still remains unrevealed as to how Milan would have played and whether the national team would have entered the world championship in Russia , if Ventura had become the head of Milan. Marco Fassone declared that Milan would try to do without transfers in january.